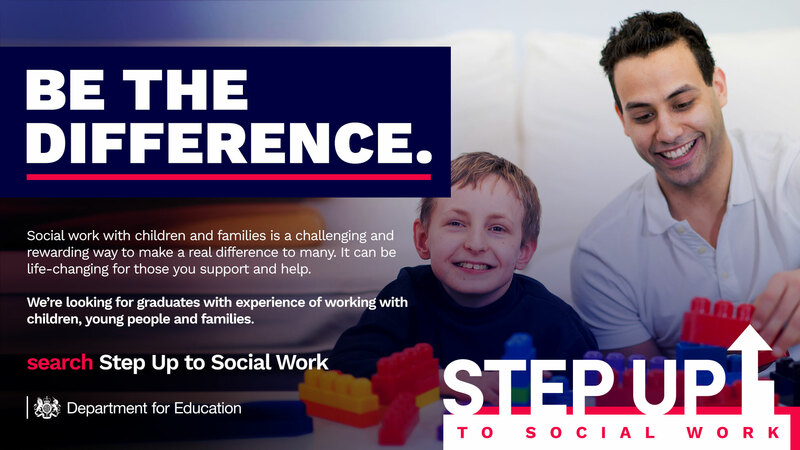 Step Up to Social Work is an intensive full-time, fully funded, training programme that could see you kick-start your career as a social worker in just 14 months. Challenging, yet hugely rewarding, it’s your fast track to making a real difference in people’s lives. For the last four years all twelve Local Authorities in the North East have taken part in the programme – Darlington; Durham; Gateshead; Hartlepool; Middlesbrough; Newcastle; North Tyneside; Northumberland; Redcar & Cleveland; South Tyneside; Stockton; Sunderland. We will again be offering the programme in 2019. A total of 54 places will be available spread across the twelve local authorities in the region. Applications for the Step up to Social Work programme are currently closed. The next round of applications, Cohort Six, is planned to open in February 2019. Successful applicants will begin training in January 2020. You can register your interest at the Gov.uk site to receive a notification when applications are open.